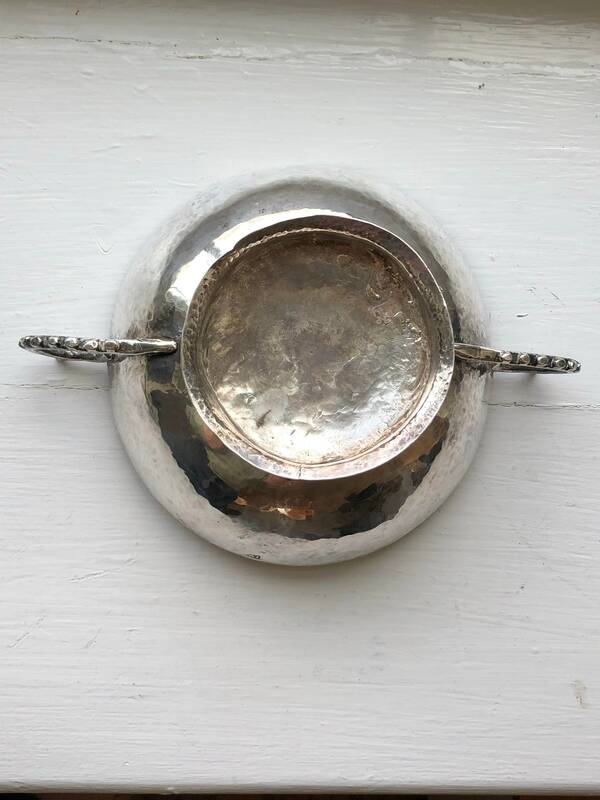 The Jan van Loon (1681-1743) of Loonenburg, NY silver Brandywine or two handled shallow drinking bowl is one of at least two that Jan van Loon made for his family's Kindermaal celebrations at his home in Athens, New York where he was one of the first settlers and a blacksmith by trade (reference: The Magazine Antiques, Jul 1951, Vol. 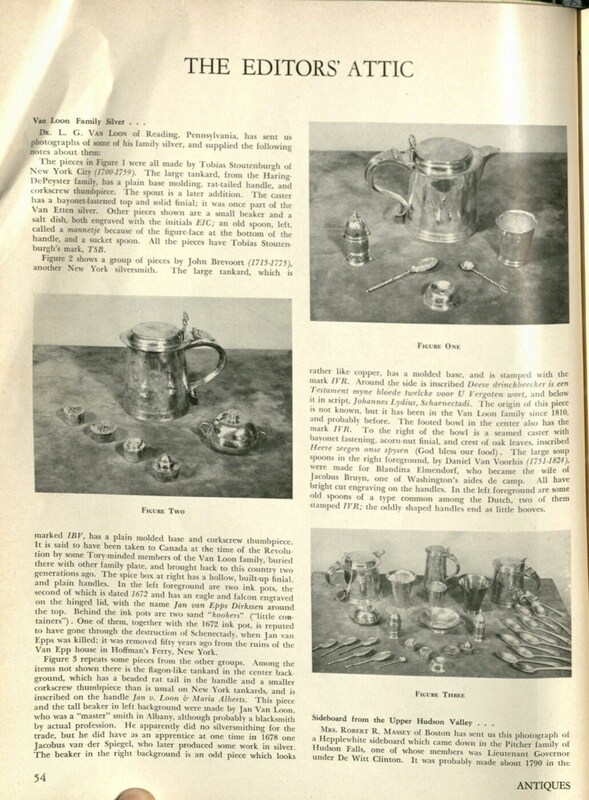 60, page 54, figure 3; photos shown). 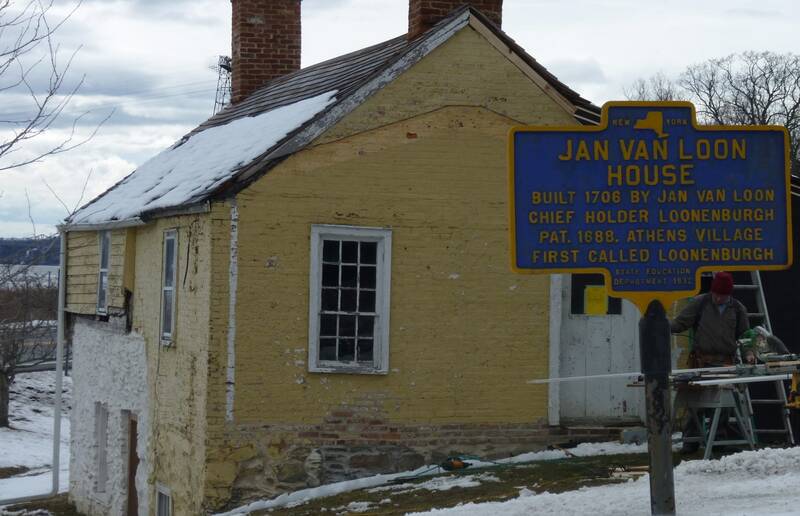 van Loon was not a silversmith by trade, but was presumably known to convert the silver guilders he received in business dealings into silver objects. 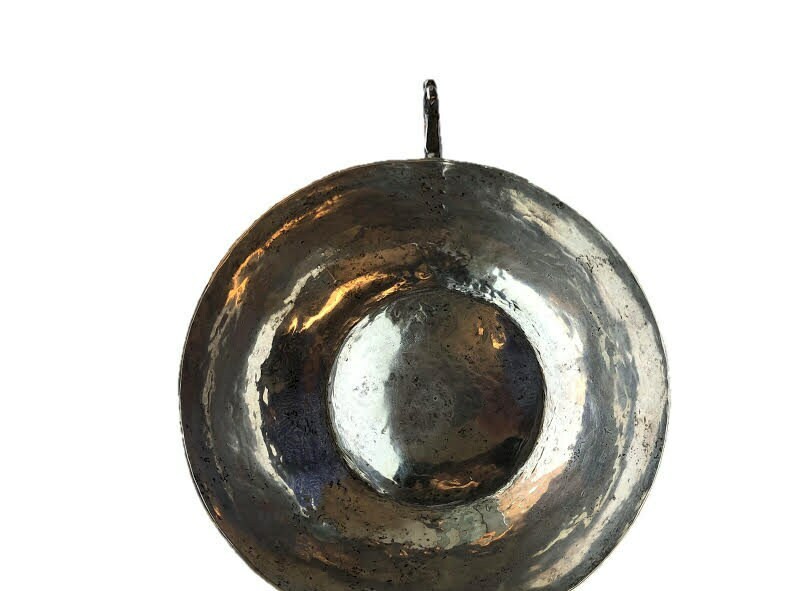 Thus, the form of this bowl is not consistent with those made by the Ten Eycks and other classically trained silversmiths of the New York region of that era. Instead, the bowl is coarsely made, exactly as you would expect a blacksmith might render the metal. The karyatid handles bear extensive marks of tooling where the gaps at the ears are removed with files etc. 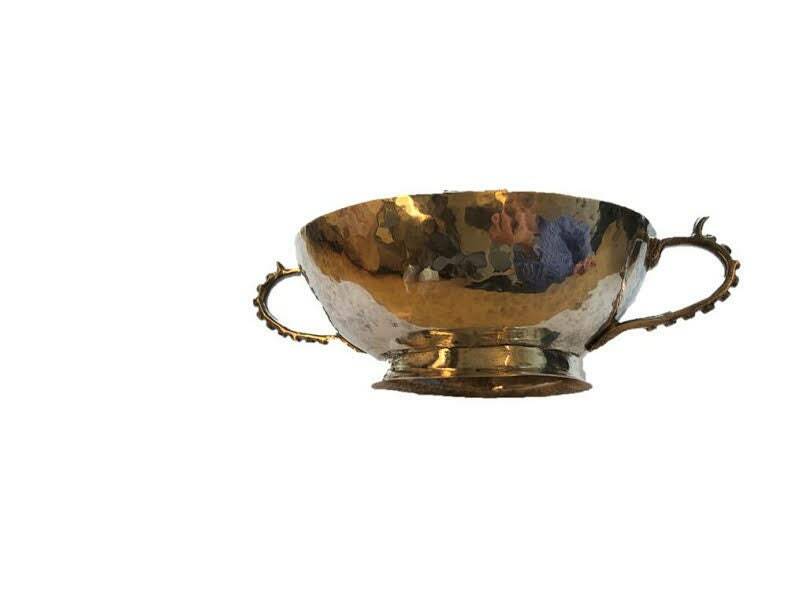 The bowl is stamped with a partially struck maker's mark of 'IVL' where the 'I' of the day is widely known to be a J. 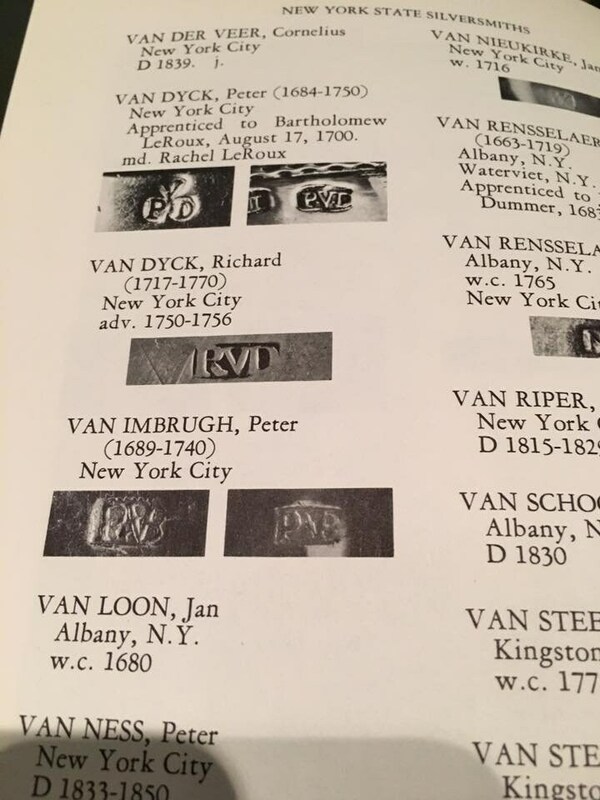 Thus, the mark is 'JVL' for Jan van Loon (reference: New York State Silversmiths). This bowl carries other important pieces of provenance. 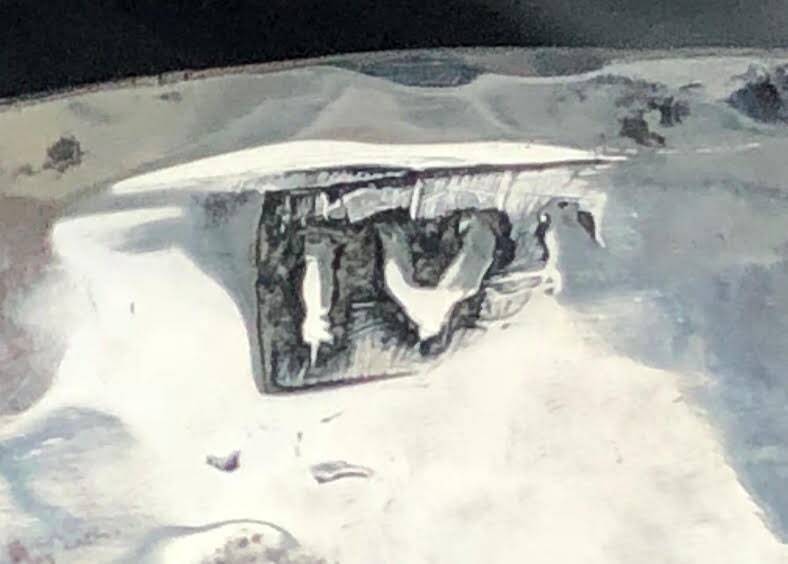 At some point, the bowl was probably repaired. At this time, the silversmith working on the bowl, probably to track the ownership of the bowl in a busy shop, scratched the name of a Jan van Loon descendant into the bottom of the bowl. The letters of this name are extraordinarily small and cannot be seen with the naked eye. 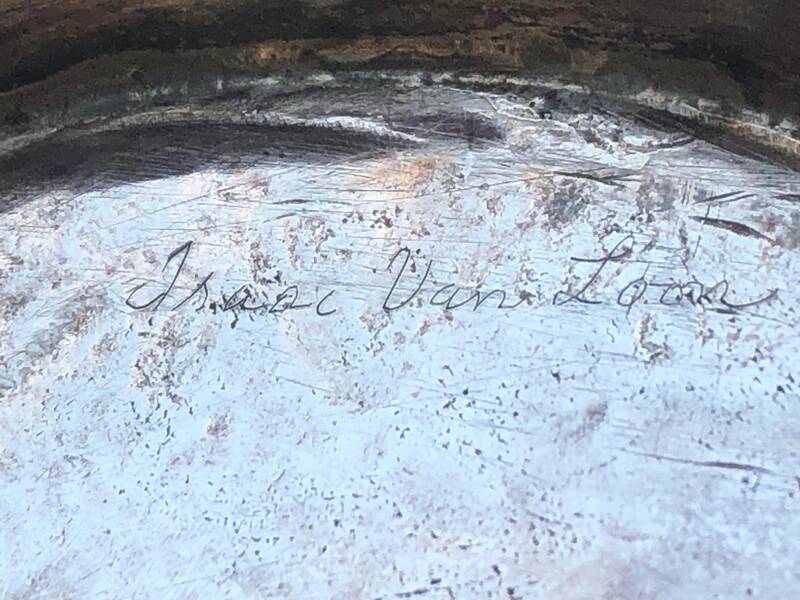 However, upon magnification, clearly etched into the bowl are the words 'Isaac van Loon' (1743-?). 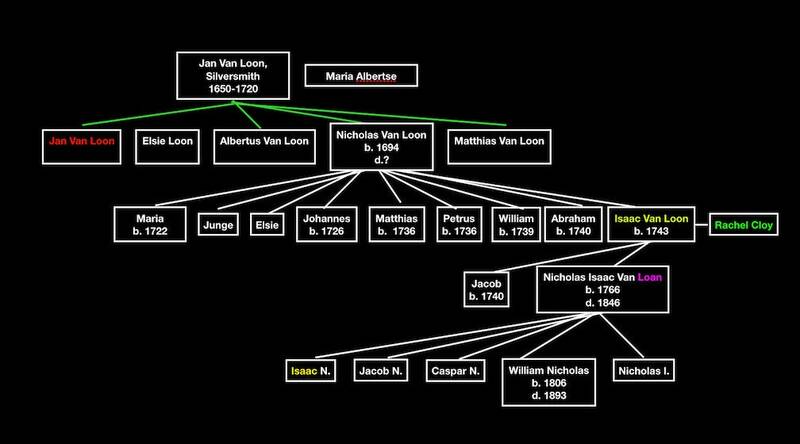 Jan Van Loon had a son (and three others), Nicholas (Nicholaas) who eventually received the bulk of the estate of Jan Van Loon. If Jan made the bowl, it may have been made for the birth of Nicholas. Nicholas went on to have numerous children, one of whom was called Isaac Van Loon (b.1743 - d.?). It is also possible that Jan made the bowl near the end of his life for his grandson, Isaac, as it appears they were born and died around the same year, 1743. Weight: The bowl weighs about 311.2 grams. The Dutch Guilder of the time weighed approximately 10.5 grams. 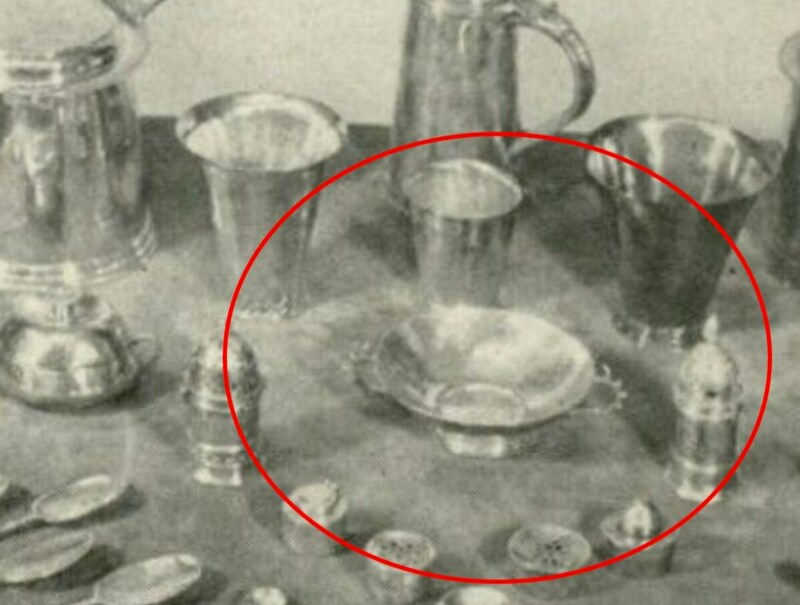 Therefore, the bowl may have been made from 30 Guilder coins. Ships in a hand-sewn tarnish resistant custom felt drawstring bag. Do not wash bag and it will repel tarnish for many years.